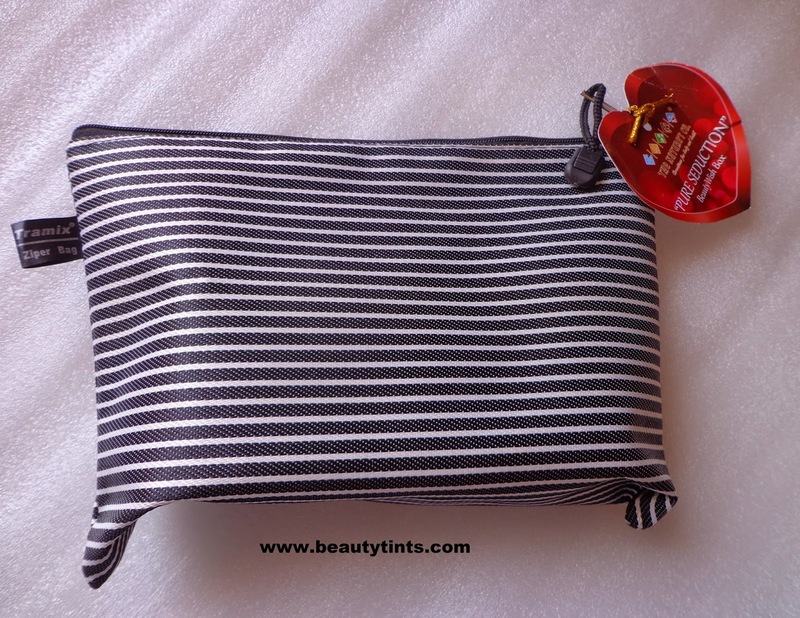 I have received the The Nature's Co Valentine special February Edition Pure Seduction Beauty Wish Box few days back and this time I am super happy with all the contents as most of them are new products which I haven't tried before.This time all the samples came in a black and white cute stripped pouch. 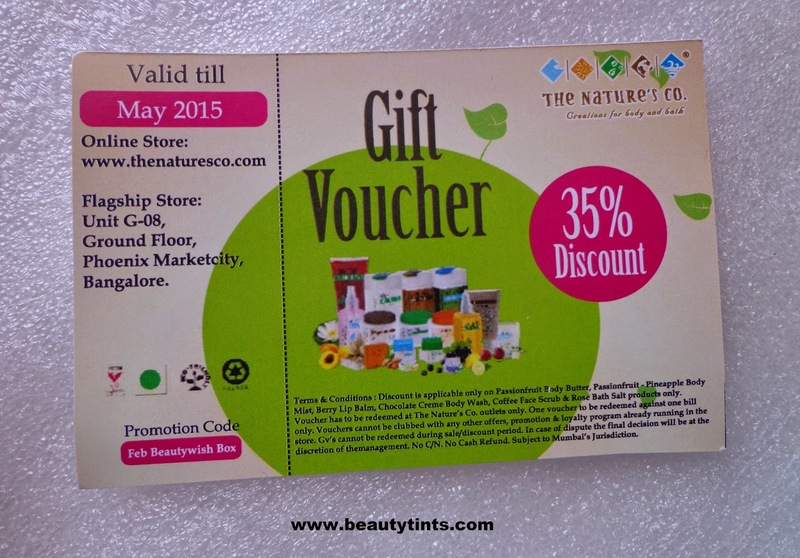 This time I received 5 Samples along with a Full sized product and 35% discount voucher. The packaging of all the samples is super attractive with cute little hearts,which is apt for the theme. 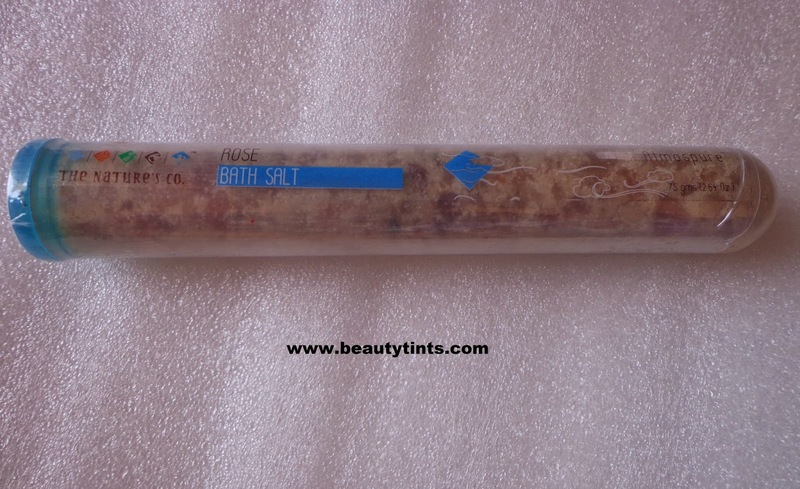 1) Rose Bath Salt Full Size(75 gm): I love bath salts especially floral scented ones.This Rose Bath Salt smells Amazing and that too retail pack makes me double happy. 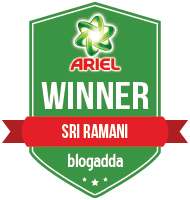 2)Chocolate Cream Body Wash (35 ml) : This smells extremely deliciously and a treat to chocolate lovers like me. 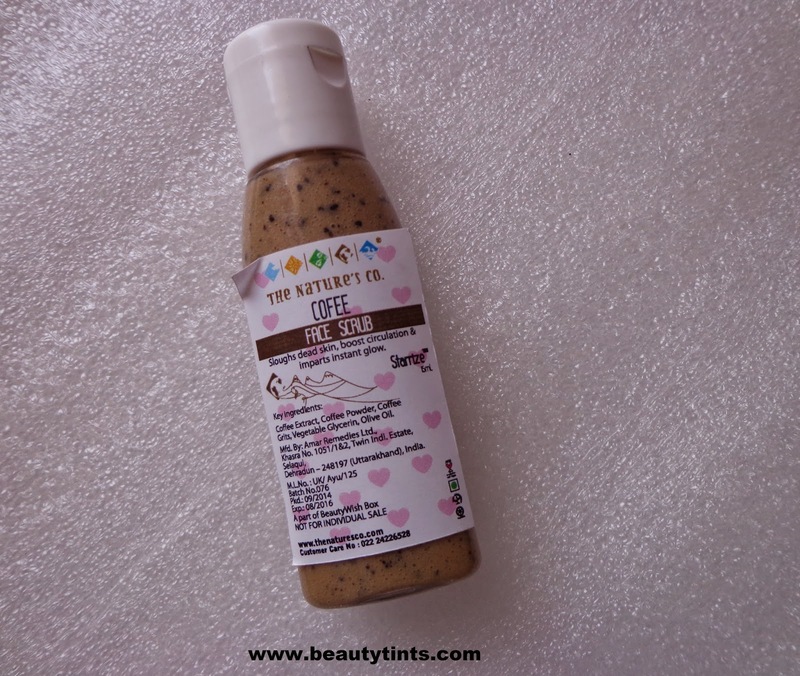 3)Coffee Face Scrub(15 ml) : I am extremely happy with this sample,as it is one of my most favorite scrubs.I have received it couple of times before but still love receiving it again and again as it is all worth.You can check out my review here. 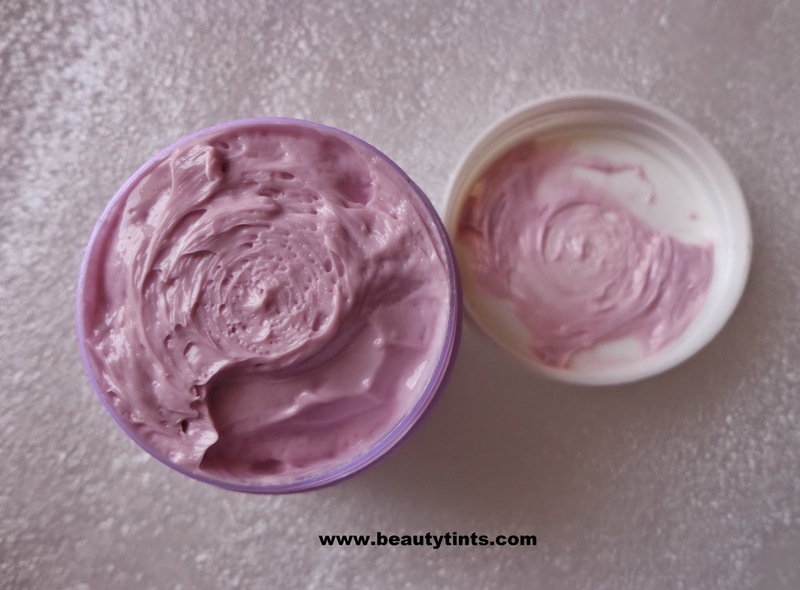 4)Passion fruit Body Butter(35 ml) : Mixed berry body butter is my favorite body butter from TNC until I got this Passion Fruit Body Butter.It smells heavenly...I am loving it!!! 5) Passion Fruit-Pine Apple Body mist (2 X 5 ml) : A lovely sensuous fragrance which lingers for a long time,a must product for this love month. 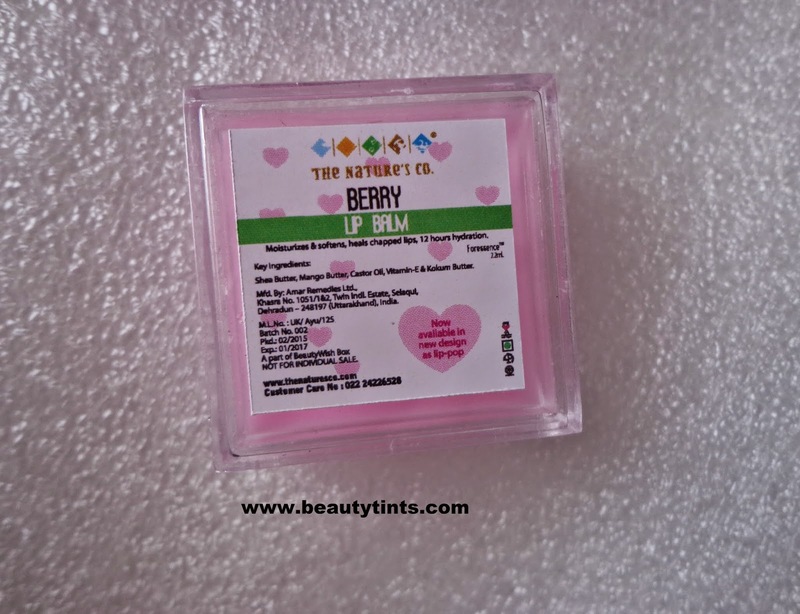 6)Berry Lip Balm(2.5 ml) : I have used this berry lip balm before and loved it.This time the packaging itself is lovely. 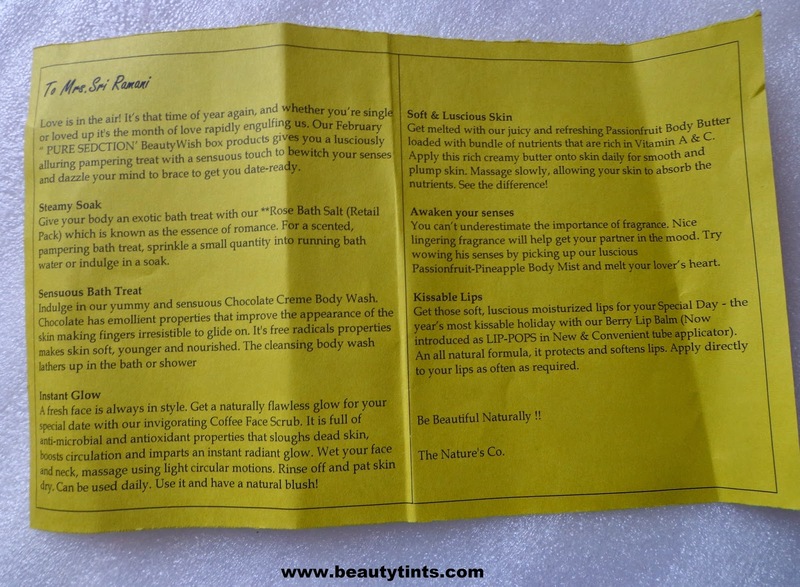 Final Thoughts about The Nature's Co February 2015 ''Pure Seduction'' Beauty Wish Box: I am loving the retail sized product each time,as it gives us a chance to try the products for longer time and help us know how it actually works,which is the actual purpose of these subscription boxes.Loved each and every product from this box along with the cute pouch. 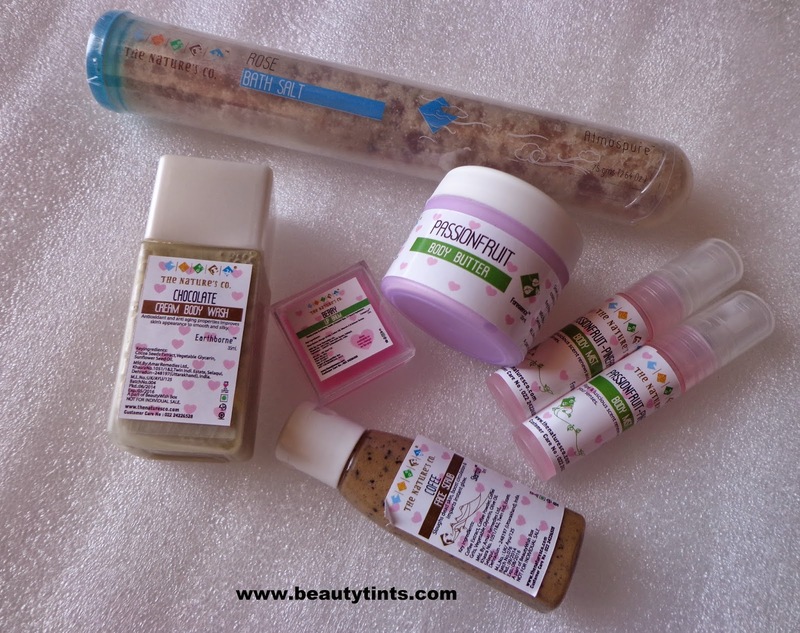 I am very much excited about March Wear your Attitude Beauty Wish Box,with a mix of 5-6 deluxe sized products.Book one for yourself here before it gets sold out. 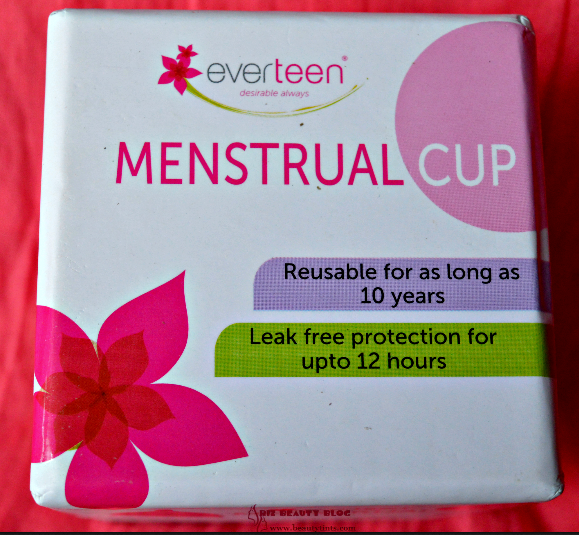 Check out the review of February My Envy Box and Fab Bag also.